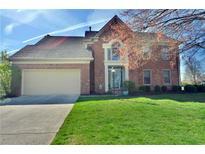 Below you can view all the homes for sale in the Hunters Creek subdivision located in Carmel Indiana. Listings in Hunters Creek are updated daily from data we receive from the Indianapolis multiple listing service. To learn more about any of these homes or to receive custom notifications when a new property is listed for sale in Hunters Creek, give us a call at 317-308-8198. When you walk in you’Lower Level want to stay. MLS#21635418. United Real Estate Indpls. Great backyard for entertaining with fenced yard, large 2 tiered deck and storage shed! Close to Monon and interstate! MLS#21631342. RE/MAX Advanced Realty. This home is so clean and bright, it is a must see! MLS#21624092. Highgarden Real Estate. large rear deck perfect for entertaining, rear yard has tranquil setting. Walking dist to the Monon! MLS#21623537. Keller Williams Indpls Metro N.